As a young man in South Africa, Nelson Mandela aspired to be an interpreter or clerk, noting in his autobiography that “a career as a civil servant was a glittering prize for an African.” Africans in the lower echelons of colonial bureaucracy often held positions of little official authority, but in practice these positions were linchpins of colonial rule. As the primary intermediaries among European colonial officials, African chiefs, and subject populations, these civil servants could manipulate the intersections of power, authority, and knowledge at the center of colonial society. 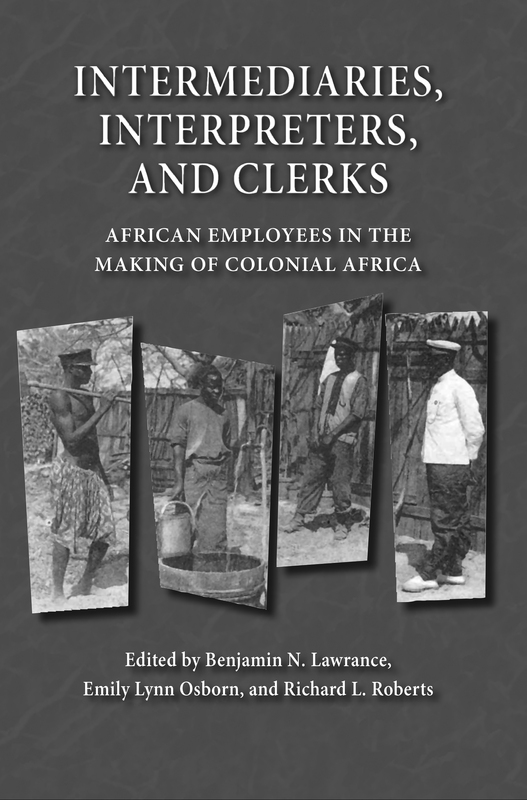 By uncovering the role of such men (and a few women) in the construction, function, and legal apparatus of colonial states, the essays in this volume highlight a new perspective. 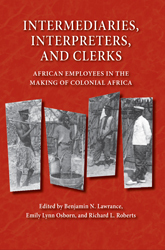 They offer important insights on hegemony, collaboration, and resistance, structures and changes in colonial rule, the role of language and education, the production of knowledge and expertise in colonial settings, and the impact of colonization in dividing African societies by gender, race, status, and class. Benjamin N. Lawrance is Professor of African History at the University of Arizona. Emily Lynn Osborn is an associate professor of history at the University of Chicago. Richard L. Roberts is the Frances and Charles Field Professor of History and codirector of the Center for African Studies at Stanford University.